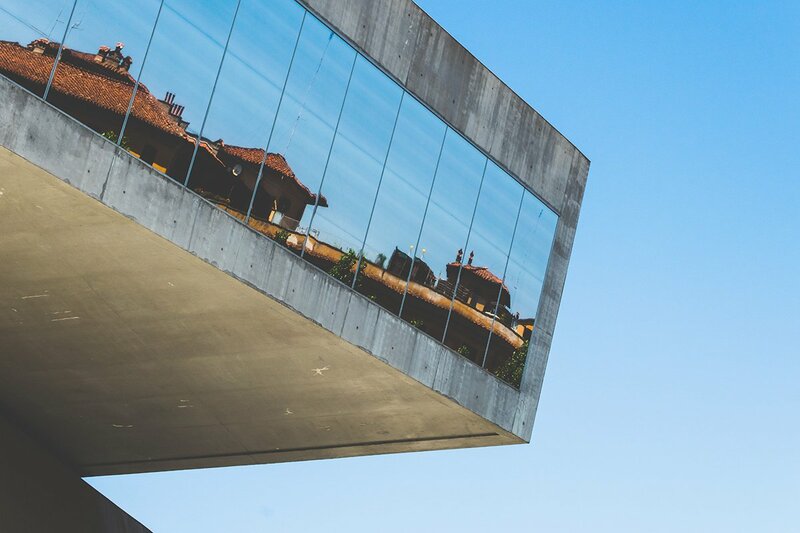 MAXXI, Italy’s National Museum of 21st-Century Art, in stark contrast with the traditional terracotta roofs of Rome. Photo by Pepe Nero / Unsplash. In the 21st century, Romans are debating whether the Eternal City is stuck in the past, overly rooted in its traditional styles and values, or is a modern metropolis changing at a clip, as seen in inventive cafes, restaurants, and bars that appeal to young creatives. It's both, and this is what awaits when you skip the centro storico to explore the city’s cool, contemporary side. ROME – The first time I went to Rome on my own, as a teenager in 2008, I thought that the best things to see and do were those that have been around the longest. I ordered an espresso at Sant'Eustachio Il Caffè, spent an afternoon in Piazza Navona, and threw a coin into the Trevi Fountain to ensure I’d return to Rome again (as the legend goes). Return I did, again and again — not for these lasting traditions, but to catch up with friends (real Romans!) who have taken me to the places and spaces that are transforming Italy’s ancient, chaotic capital into a modern city. 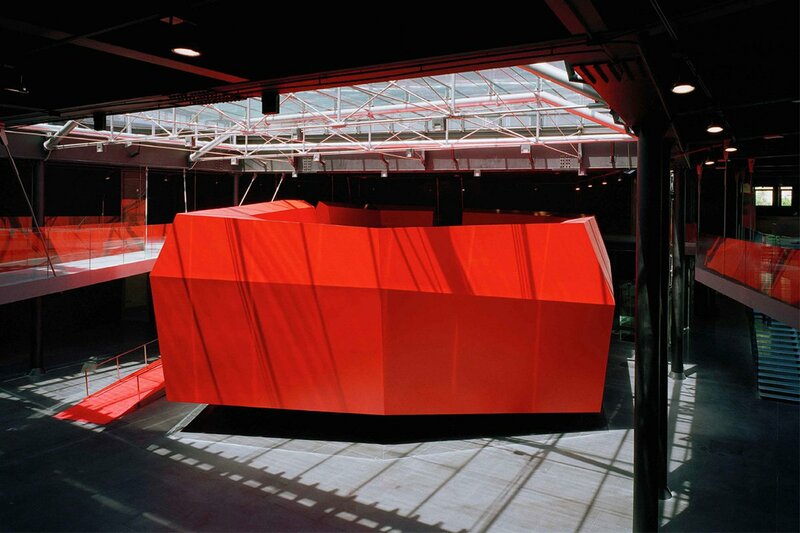 The futuristic interior of MACRO, a museum dedicated to Italian contemporary art. Photo by Luigi Filetici. In an old Peroni brewery, the museum, known as MACRO, houses more than 600 works of contemporary art. The property got an upgrade with the addition of a steel-and-glass wing in 2010, the same year that saw the highly anticipated debut of Zaha Hadid’s MAXXI, the National Museum of 21st-Century Art. Although MAXXI often steals the spotlight, MACRO focuses exclusively on Italian artists like late Sicilian abstract painter Carla Accardi and sculptor and installation artist Paolo Canevari. Photo by Shu Tu / Flickr. 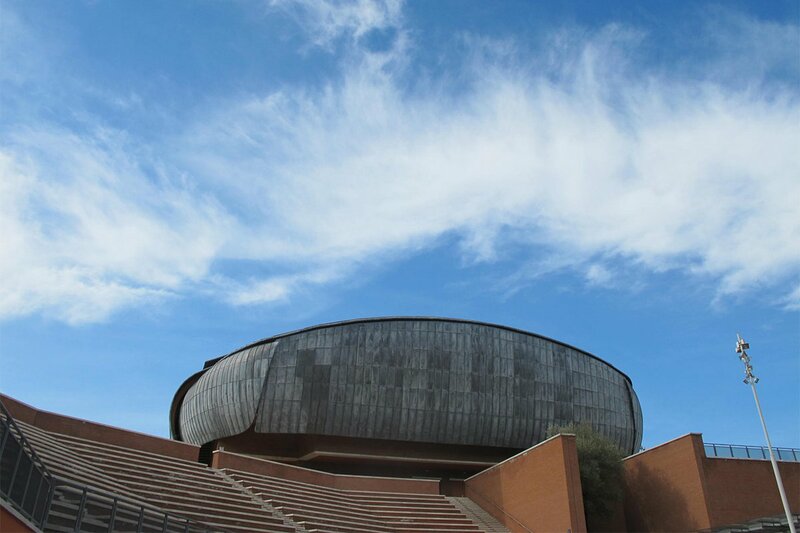 Designed by Renzo Piano, the Italian architect behind the Shard in London and the Whitney Museum of American Art in New York, Auditorium Parco della Musica hosts concerts, exhibitions, readings, dance, and theater festivals, some of which are free and some of which happen in an open-air theater. Notebook, the auditorium’s book shop, sells music — everything from jazz and rock to popular and electronic — that was recorded at venue's own studios. Photo by Rob Larsen / Flickr. 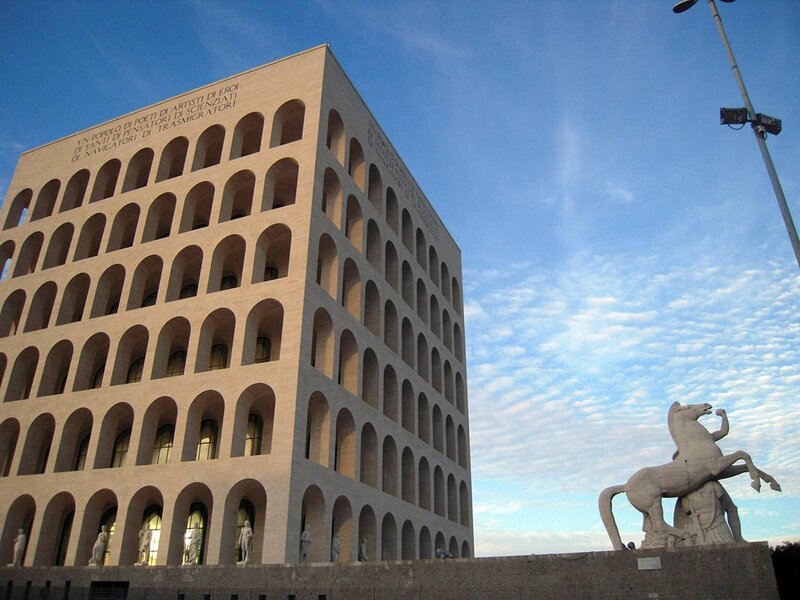 In 2015, fashion house Fendi moved its global headquarters to a travertine-clad monument, commonly referred to as the Colosseo Quadrato (square colosseum) for its arcades that mimic the city’s famous landmark. Much as Prada did with Fondazione Prada in the 1990s in Milan, Fendi created a permanent, free-entry gallery and cultural space space, giving the public access to the iconic building for the first time in history. The Living Room at Pastificio San Lorenzo. Photo courtesy of Pastificio San Lorenzo. Art collectors recently brought the old pasta factory used as artist studios during the 1980s back to its roots. This is a restaurant concept in that would be at home in Brooklyn and East London. Three distinct spaces each offer their own ambience. Have an aperitivo in il salottino (the living room) on comfy couches and chairs. At il bancone (the counter), order a plate of prosciutto and sip cocktails. In the main dining room, feast on Italian dishes like rigatoni topped with a lamb ragu or international favorites like a burger with pecorino. Retro furniture provides a warm touch to the industrial SAID Chocolate Factory. Photo courtesy of SAID Chocolate Factory. The graffiti-covered San Lorenzo district is still recovering from its post-industrial decline, but SAID Chocolate Factory is one that never closed down. The renowned chocolate factory, in operation since 1923, opened a shop and cafe in 2006 before launching a full restaurant in 2007. Room after airy room of the converted warehouse are decorated with retro furniture, lending warmth to the industrial space. You can still buy everything from pralines to truffles and chocolates of every size and shape, but don’t skip the chocolate-forward dinner menu that feature duck al cioccolato. 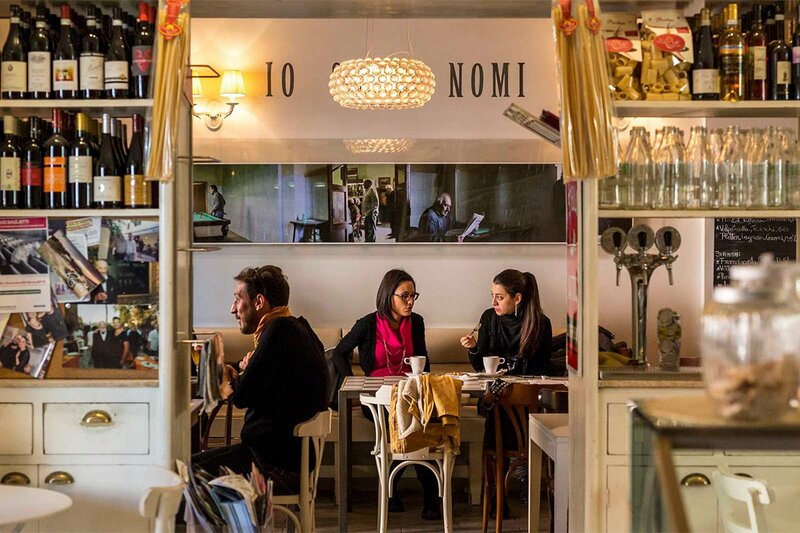 From day to night, Romans buzz in and out of Bar Necci. Photo courtesy of Bar Necci. Opened as a snack bar in the 1920s, Bar Necci has been reimagined several times during its history — first as an ice-cream parlor in the 1960s and now as an urban all-day restaurant and late-night bar. From day to night, locals shuffle in and out as if there’s a revolving door. They come for the menu, printed on scraps of vintage wallpaper, which features Italian favorites like fried artichoke salad with Parmesan shavings and cacio e pepe pasta. For dessert, the trio of panna cotta — basil with tomato, rosemary with strawberries, and vanilla with chocolate — is not to be missed. 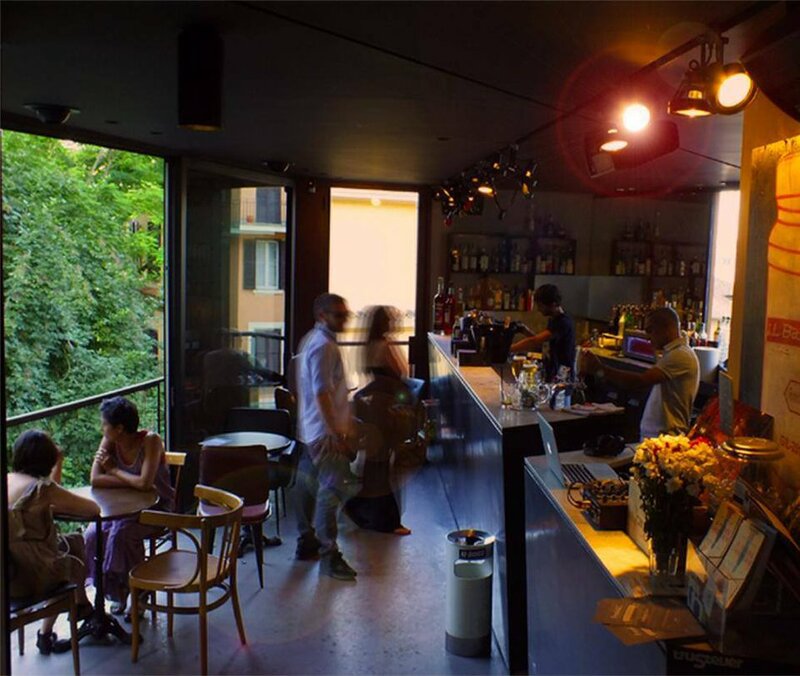 Il Baretto, a bar with a futuristic design in verdant Trastevere. Photo courtesy of Il Baretto. In sharp contrast to the traditional, ivy-covered buildings in the verdant Trastevere district, Il Baretto is a cocktail bar with an '80s edge. Not only is it housed in a metal-and-glass cube, it also counts the jukebox featured in Nanni Moretti’s 1984 cult Italian film Bianca among such vintage decor neon signs and American bar stools. With two of Rome’s top DJs as bar owners, the playlist here is as strong as the Campari cocktails, which are best enjoyed alongside hip locals on the lush, spacious terrace. 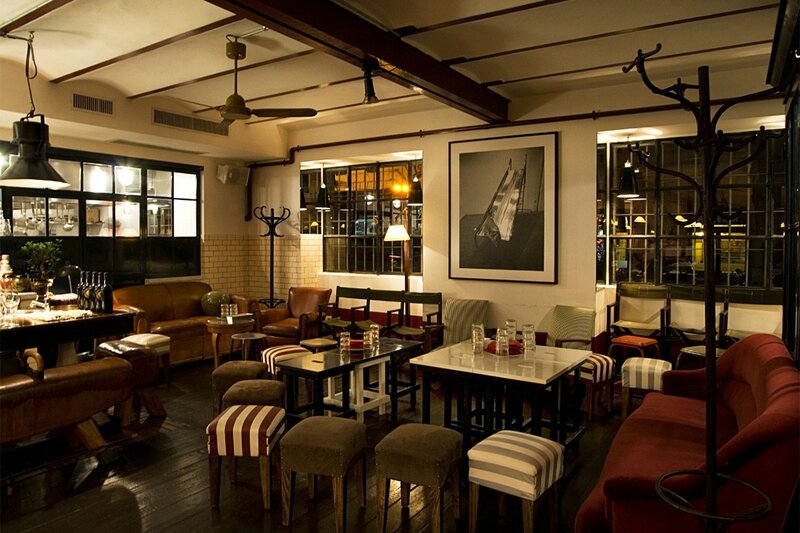 Despite its Parisian interior, Bar del Fico is a longtime fixture in the city’s nightlife scene. Photo courtesy of Bar del Fico. Journey through the city center’s tangled, narrow streets to Bar del Fico, a longtime fixture in the Roman nightlife scene. 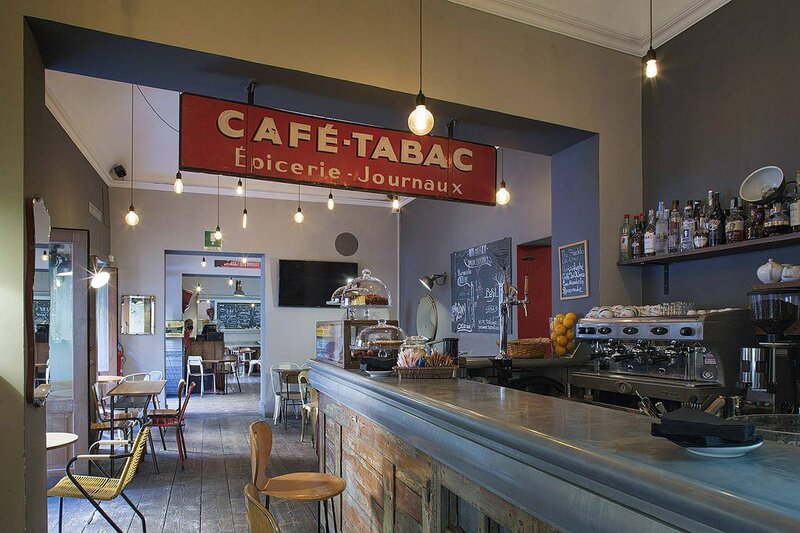 Retrofitted and reopened in 2010 with a new, shabby-chic decor (think vintage advertisements sourced in France), the bar is packed daily with trendy locals and American expats who spill out into Piazza del Fico with their spritz or wine. The interior may lean Parisian, but it doesn't get much more Roman than drinking outdoors in a cobbled piazza. To experience daily life in Rome outside the chaotic city center, take a short walk across the river to Settembrini Café. At the popular neighborhood venue in the heart of Prati, a sophisticated district known for its high-end shopping, elegant office buildings, and immaculate squares, professional Romans with 9-to-5 jobs in the area drink coffee by day and sip bubbly by night. Visit during aperitivo (6-9 p.m.) for a menu that pairs your choice of cocktail, beer, wine, or champagne with four tastings of salumi, prosciutto, or cheese. 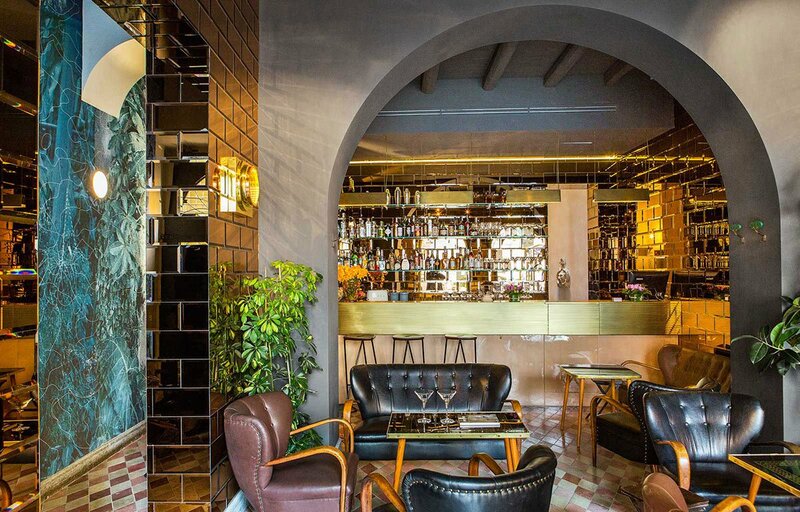 Pull up a chair at Settembrini Café, one of the best spots for aperitivo in Rome. Photo courtesy of Settembrini Café. It’s part of the city center, but the alternative, authentic Testaccio district feels far away. Art galleries and late-night bars mimic the aesthetic of New York’s SoHo in the 1980s — trendy, but before anyone considered it so. Check out what’s on at Mattatoio, an outpost of MACRO housed in a former brewery. For a quick bite, the pizza-sandwich hybrid from Trapizzino is a local favorite. Thanks to its student population (it’s home to one of the largest universities in Europe), gritty San Lorenzo has a cool, youthful vibe that has helped drag the lesser-trodden district out of its post-industrial decline. Head to lively spots like Rive Gauche for craft beer or catch a photography exhibit at ISFCI, a photography school established 30 years ago when only artists were brave enough to visit the area, located just outside the ancient city walls. Calm (it’s shielded from the frenzy of the centro storico by the River Tiber) yet connected (it’s a stone’s throw from Piazza del Popolo), Prati is an excellent area to get a taste of daily life in Rome. Built in the early 20th century, the district is a departure from the city’s famous terracotta hues in favor of neoclassical architecture, the type most associated with European capitals. Shop on Via Cola di Rienzo, one of Rome’s most important shopping streets, or pull up a chair during aperitivo at Il Sorpasso. 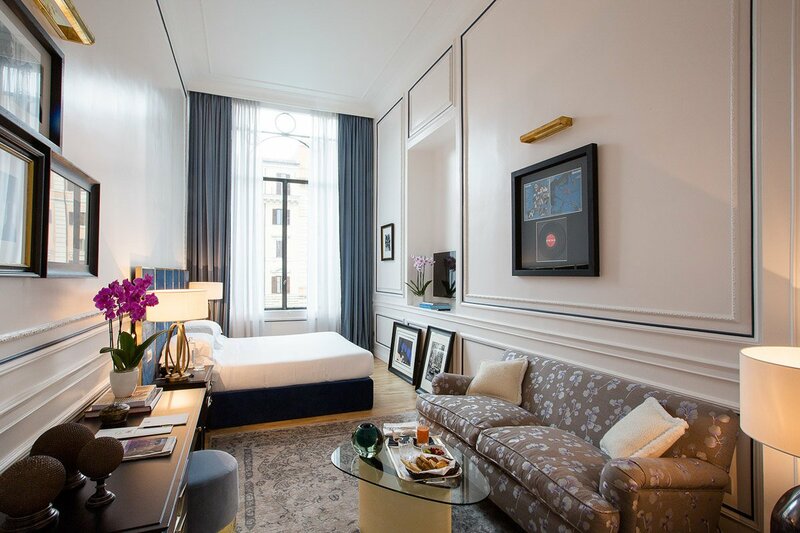 Past and present collide at Palazzo Dama with designer features in historic digs. Photo by Oberto Gili. A 19th-century palace restored to its former glory. Art Nouveau features are complemented by Ralph Lauren and Loro Piana fabrics, vintage Venini glass fixtures, and prints by Miro, Picasso, and Warhol. There's a private roof terrace with city views. The city center is only a short walk away, but closer by are the neat streets of Prati, where one can follow well-heeled locals to some of the best shopping and dining in Rome. The icing on the cake: Rooms start at $250 a night. Not bad for a palazzo. The trendy lobby bar at G-Rough. Photo courtesy of G-Rough. 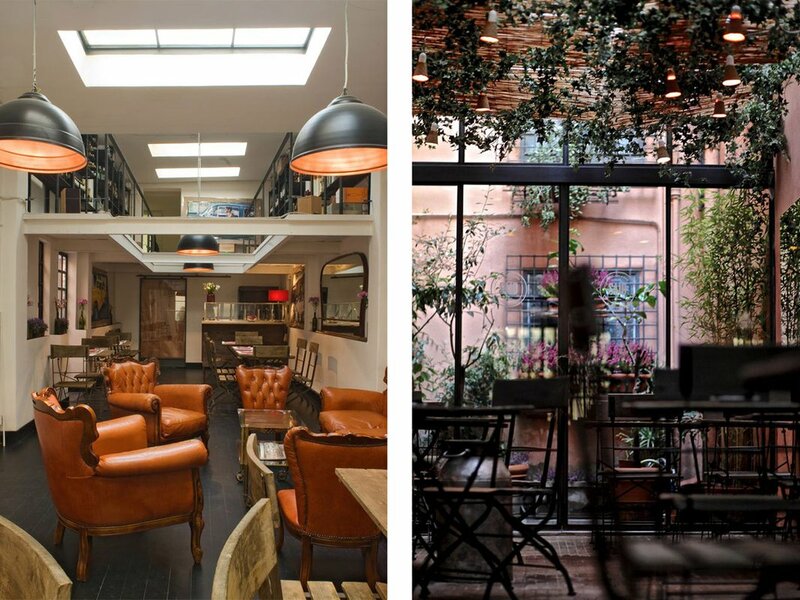 G-Rough is Rome’s answer to ultra-hip hotels like The Hoxton and Sixty, which have taken hold in cities from London to New York. Those ready to splurge on a hotel stay will enjoy the modernist Italian design and trendy lobby bar that will, if nothing else, make you feel like the ultimate insider. 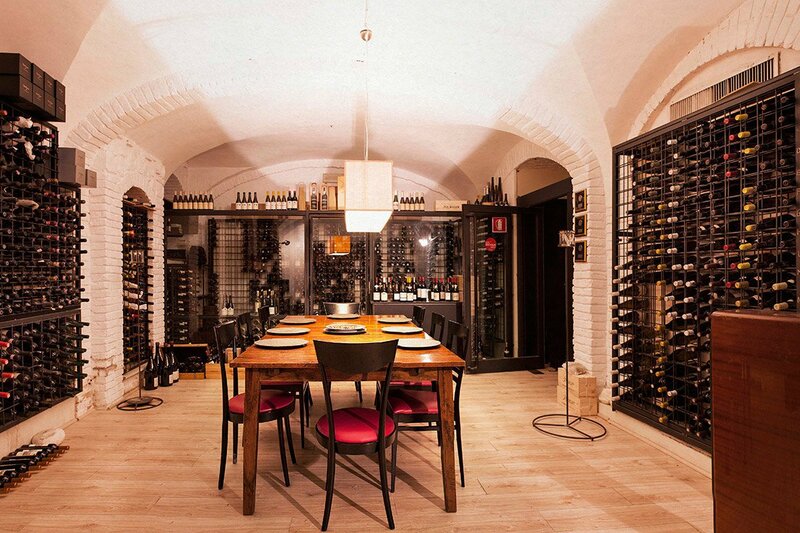 The property is pretty much in the heart of it all but feels exclusive, thanks to its location off Piazza Navona in the infinitely smaller, less-trodden Piazza di Pasquino.